The lead article of our newsletter typically features a local leader who shares with us their perspective on the values of community. With all of the wonderful things going on in the Evans Farm neighborhood, we elected to take this issue’s lead article and highlight some of these. Our next issue will return to feature another community member. The 2018 BIA Parade of Homes opened in Jerome Village on September 1. The designs of each of these are wonderful, with each being uniquely designed and crafted. The creativity and craftsmanship displayed throughout each home truly represents these builders as among the finest that we have in our community. Likewise, the landscape and interior designs were equally appealing. Bob Webb’s wall-less kitchen and outdoor entertainment area; 3 Pillar’s spacious first floor living space and beautiful brick exterior; Coppertree’s 3-story rotunda; and Romanelli & Hughes’ wrap around deck were just a few of the memorable moments in our visit to the Parade. This year’s Parade features several preferred builders of our Evans Farm community, including Bob Webb Homes, 3 Pillar Homes, Romanelli and Hughes Homes, Manor Homes, Arthur Ruttenberg Homes, and Coppertree Homes. Congratulations to Jon Melchi, Tracy Schiefferle, Krissy Ciacchi, Craig Tuckerman and the many volunteers and workers who have contributed to the outstanding event! Take a couple of hours and treat yourself to a visit this year’s Parade at Jerome Village! 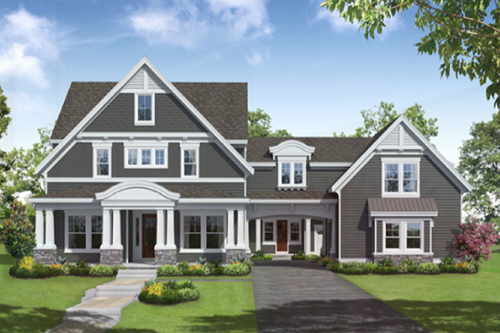 The BIA is pleased to announce that Evans Farm will be hosting the 2019 Parade of Homes. We at Evans Farm are honored to be welcoming the BIA and all of their members to our community! The BIA is currently accepting builder-members to participate in the Parade. This terrific showcase of homes, craftsmen and design will be held along Evans Farm Drive with each home oriented towards our central green space. The 2019 Parade will be the crowning jewel of the initial phase of Evans Farm. We are thrilled to welcome all of the builders, designers and craftsmen, as well as, all of the guests who will be viewing (and possibly living in) these showcase homes. The initial plan of the BIA is to hold the event in July of next year. Please stay tuned for details as they become available through the BIA. 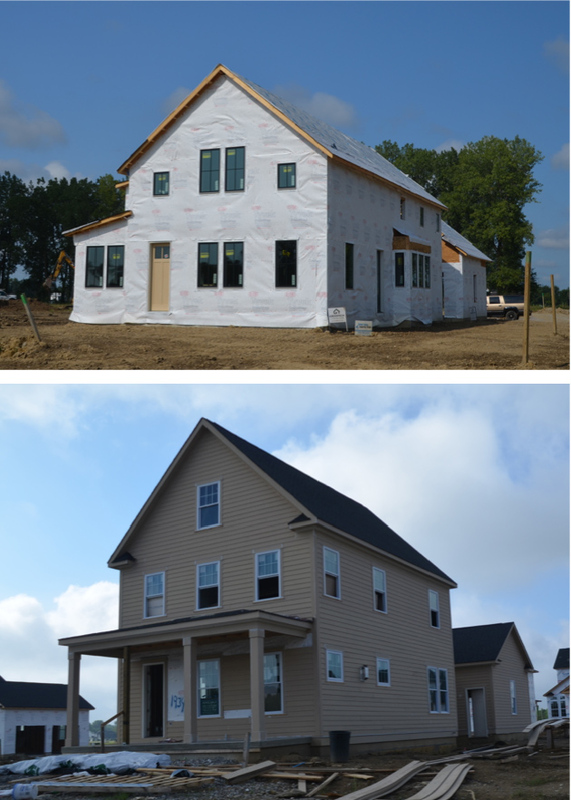 It’s becoming difficult to keep up, but Evans Farm currently has 14 beautiful new homes currently under construction, with a number of new plans under review and soon to be approved for beginning construction! 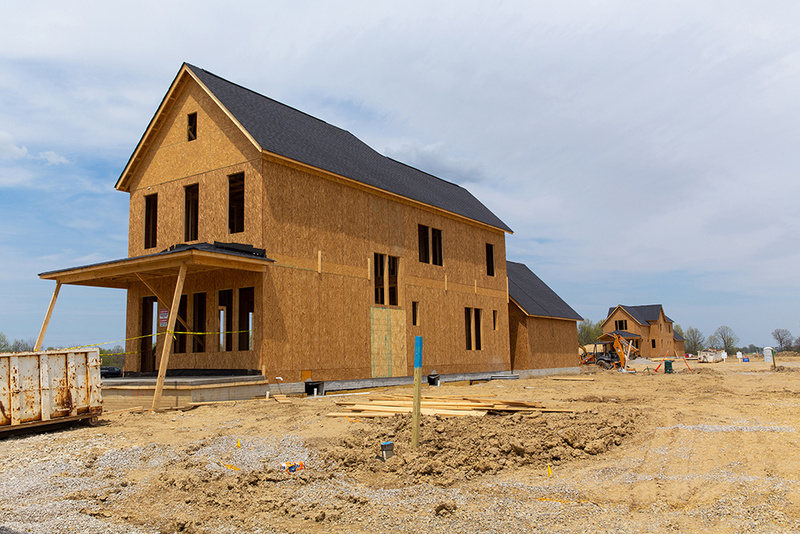 Several of these homes are being designed and constructed for families and are already sold. 3 Pillar Homes, Silvestri Group, Stonecliff Homes, The Bellepoint Company, Bob Webb Homes, Custom Elite Homes, and GreenTech Construction are currently active in constructing beautiful single-family homes in the Evans Farm community. We are anticipating the start of construction of the townhomes and the first phase of the marketplace, commercial district as well. Our plans have been submitted to Orange Township for their reviews and approvals. We are optimistic that the first phase of the townhomes and marketplace will begin in late-2018 or early-2019. We also anticipate the completion of the construction of the streets, alleys and infrastructure for Phase 1 by the end of October 2018. Freshly picked sweet corn, smothered in butter with juicy watermelon and grilled hot dogs attracted approximately 50 people to the Evans Farm Corn Roast on July 24. Future families, builders, real estate agents and local neighbors met on the sales center patio to visit with each other while enjoying a beautiful July evening. Over 200 ears of corn were picked that morning, boiled and covered in butter for the community to enjoy. The corn that was not shucked and boiled, but left over from the event, was given to the families at the end of the night. The YMCA remains committed to working with Evans Farm and the local community to bring a YMCA facility to the development. In July and August, the YMCA contracted with a third-party market research firm that specializes in YMCAs to scientifically gauge the interest in a new YMCA in Lewis Center. The detailed results from that study are forthcoming, but one thing was clear from the early analysis, the community wants pools! Initial schematic design for a facility is underway and will be completed once the details of the market study are fully reported. At that time, the development of several major gifts will begin in earnest and the formation of a new facility steering committee will be underway. Look for a gathering to be hosted by the Y to fully report what the community shared and a sneak peek at early design concepts. If you have an interest in being a part of the volunteer team that will work with the Y and the community to make a YMCA happen, please contact bkridler@ymcacolumbus.org. At the beginning of the summer, several elementary students in the Olentangy Local School system attended a summer camp at Arrowhead Elementary. Approximately 30 students chose to learn more about survival training. The Evans Farm staff helped organize with local educators to teach important topics about surviving in nature. 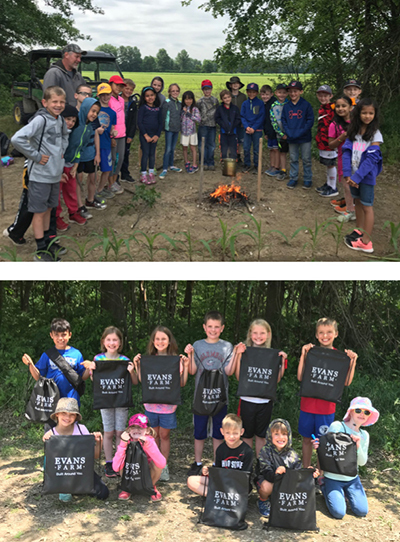 Among these educators were Delaware Soil and Water Conservation District, Army Corps of Engineers – Olentangy Watershed and Preservation Parks of Delaware County. Some of the topics included, How to Build a Fire, Water Cycle for Animals, Water Safety Training, Tracking Ohio Mammals, and Wildlife Competition Lesson. The students seemed to have a great time learning about nature and developing skills that could help them survive in the wild! 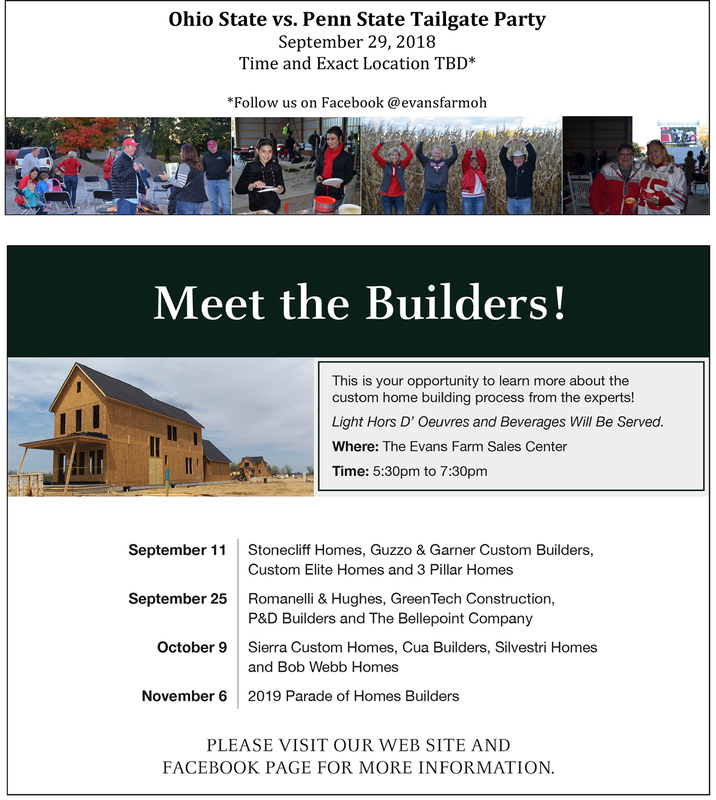 This is your opportunity to learn more about the custom home building process from the experts! Light Hors D’ Oeuvres and Beverages Will Be Served.